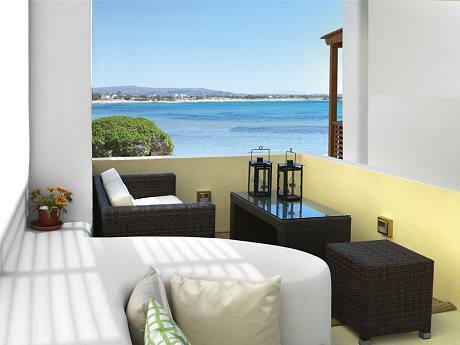 Nissaki Beach is a magnificent boutique hotel in the beautiful Naxos Island. 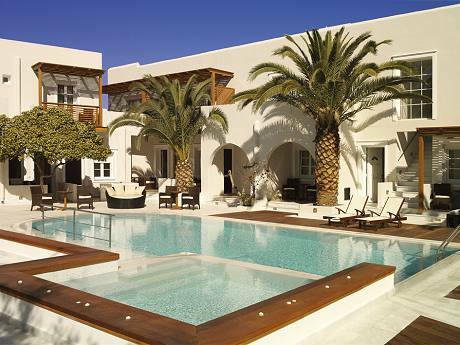 Just a stone's throw from the main town, yet far from the bustling crowds that visit Naxos, Greece during the hot summer months, Nissaki Beach Hotel is a perfect blend of modern amenities, warm hospitality, affordable luxury and impeccable service. 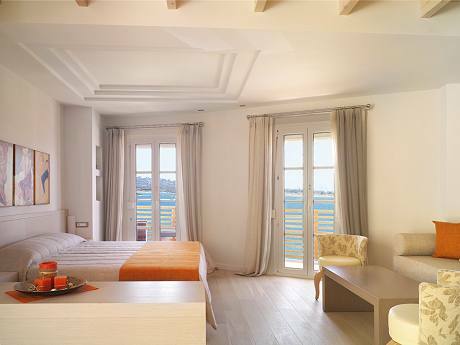 Nissaki Beach Hotel is a perfect blend of modern amenities, warm hospitality, affordable luxury and impeccable service. 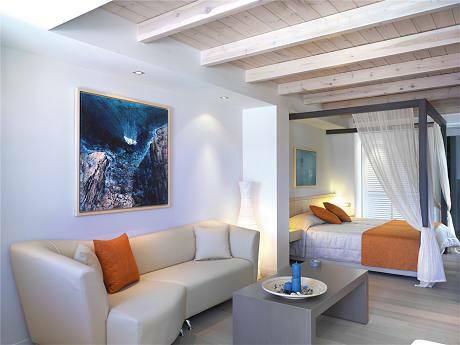 This is the philosophy behind the impressive 4 star hotel, which is located in Saint George beach in Naxos Island. 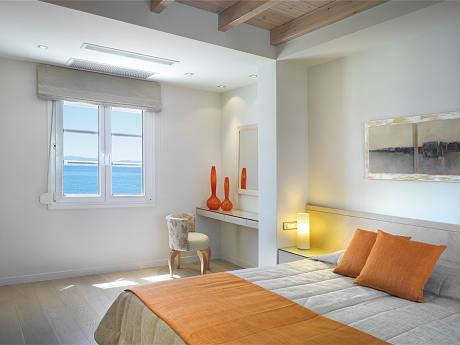 This modern boutique hotel near the Hora of Naxos Island in Greece features 26 spacious rooms and luxury suites that breathe an exquisite minimalistic elegance. Hotel facilities and services: 24 hrs reception, swimming pool, beach restaurant, internet access, breakfast, bar, maid twice a day, credit cards are accepted. Room facilities and services: Large, comfortable beds, ADSL internet, plasma TVs, espresso coffee makers, DVD players, hidden lightings, cool, soothing color tones and fabulous sea view from the furnished verandas ensure an upgraded stay.